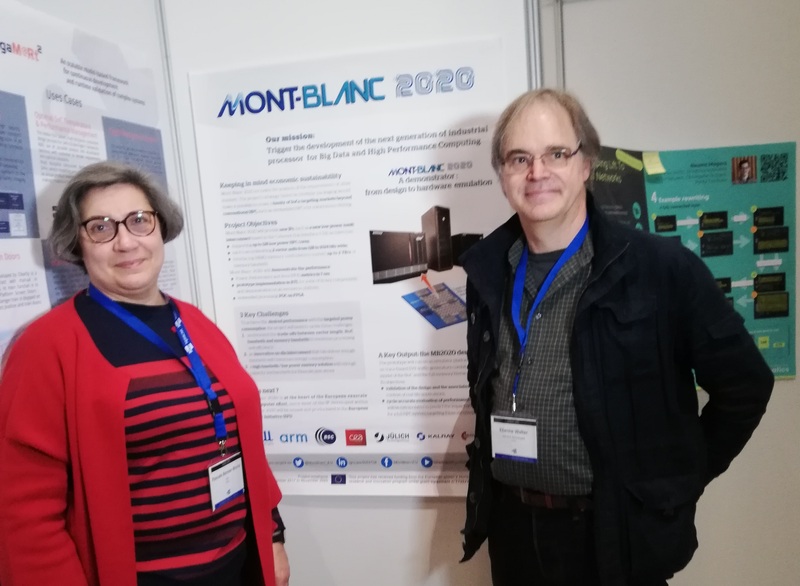 Since 2011, the European project Mont-Blanc has been focused on enabling ARM-based technology for HPC, developing both hardware platforms and system software. The latest Mont-Blanc prototypes use system-on-chip (SoC) devices that combine a CPU and a GPU sharing a common main memory. Specific developments of parallel computing software and well-suited implementation approaches are of crucial importance for such a heterogeneous architecture in order to efficiently exploit its potential. This paper is devoted to the optimizations carried out in the TermoFluids CFD code to efficiently run it on the Mont-Blanc system. The underlying numerical method is based on an unstructured finite-volume discretization of the Navier–Stokes equations for the numerical simulation of incompressible turbulent flows. It is implemented using a portable and modular operational approach based on a minimal set of linear algebra operations. An architecture-specific heterogeneous multilevel MPI+OpenMP+OpenCL implementation of such kernels is proposed. It includes optimizations of the storage formats, dynamic load balancing between the CPU and GPU devices and hiding of communication overheads by overlapping computations and data transfers. A detailed performance study shows time reductions of up to 2.1× on the kernels’ execution with the new heterogeneous implementation, its scalability on up to 128 Mont-Blanc nodes and the energy savings (around 40%) achieved with the Mont-Blanc system versus the high-end hybrid supercomputer MinoTauro. Authors: Oyarzun, G. - Borrell, R. - Gorobets, A. - Mantovani, F. - Oliva, A.